Soil basics - Don't forget the perlite! 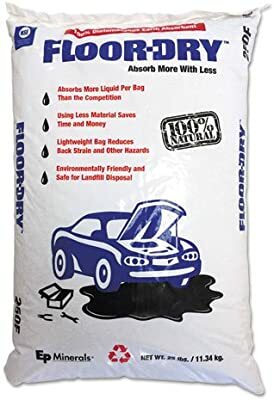 Here is another source for the “floor dry” which is 100% Diatomaceous Earth but is medium sized aggregate which can be incorporated into potting mix. I will be using this in addition to perlite and adding to my bagged potting soil mix. Thinking maybe a 20% total of mix and splitting DE and perlite 10% each. Any thought from anyone would be appreciated. The powdered version from what I’ve read can also be used in soil mix but seems like I would want to use the coarse type instead. Also I have found that using powder DE on top of soil to deal with fungus gnats etc seems to form a crust on top after watering and I needed to work to soil after using to break it up. Maybe I should have mixed into the top inch or two of soil when dry and then when watering it wouldn’t have formed a crust layer. I have also used this powder form over the years when my dog would bring in fleas or in winter if mice got in and they brought the fleas rather than using chemical bombs etc. just sprinkle the DE into carpets or on floors etc…wherever the fleas were and they are eliminated in short order. Awesome info. Looks like every plant needs some DE! Ancient ocean creature skeletons. DE is well known as a filter aid in pool filters.